Be inspired by this bench to design your perfect outdoor dining experience. 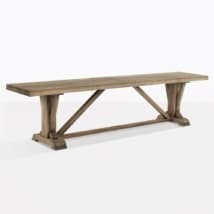 The Blok dining bench combines a rustic feel with a contemporary clean craftsman style that will suit many different styles. Please note the 90″ bench comes with 3 trestle legs. If you have questions please call us today! 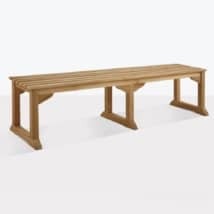 Pair 1 bench with 4 of our outdoor wicker dining chairs to mix up the look and feel. 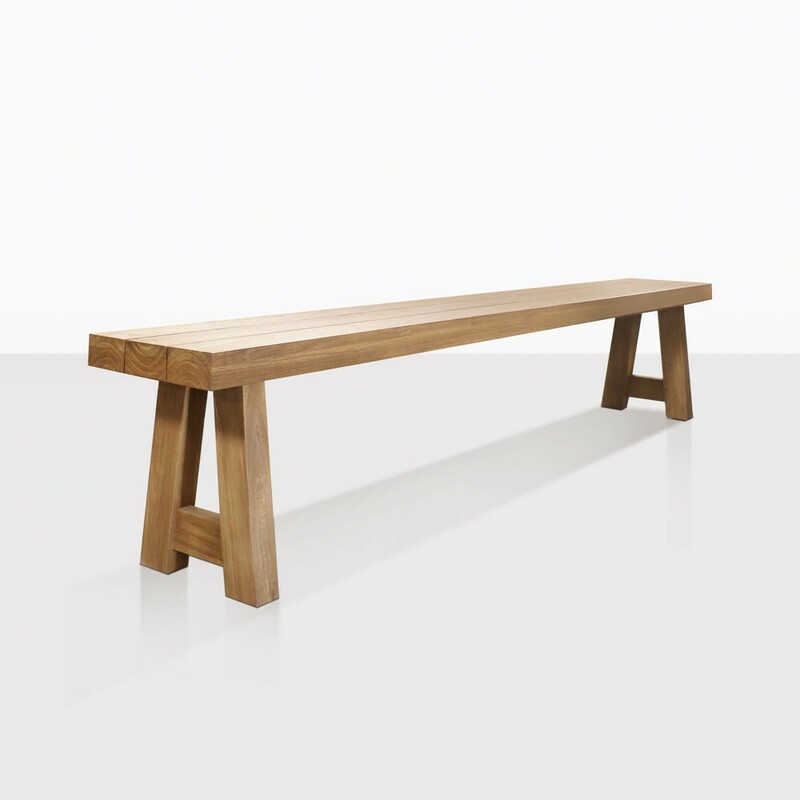 Add some edge by paring the bench with our Alix chairs. 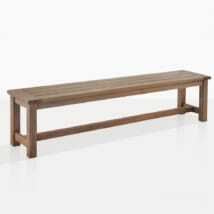 Or use this bench all on it’s own as bench in your garden or poolside. 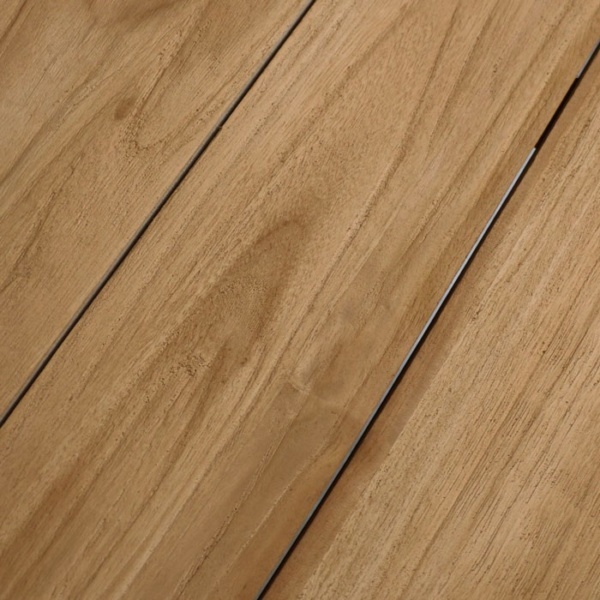 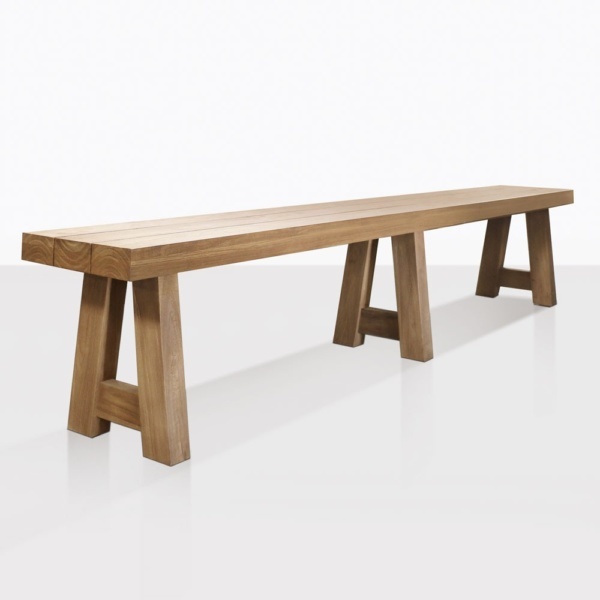 The thick chunky reclaimed teak is durable and stunning. 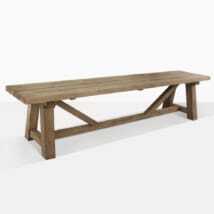 Enjoy the warm summer days and cool fall nights dining outside on your patio. 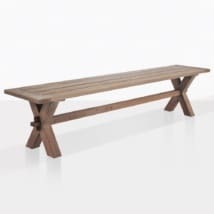 Gather with friends around the Blok reclaimed teak dining table and benches in style that will last many years.